First of all, it will turn your shower into a crime scene (especially if you're coloring your hair red.) It will stain everything! Your pillowcases and towels will never be the same again. Not to mention, bleach and split ends will definitely become your BFF's...unfortunately! 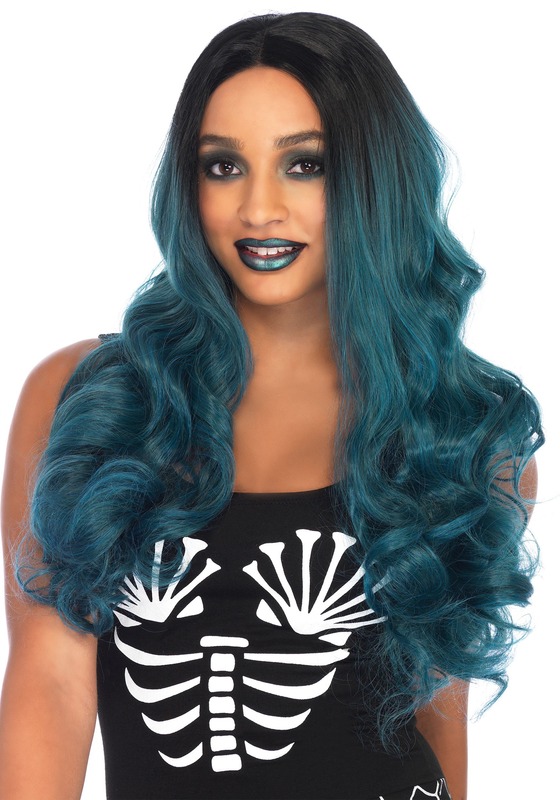 Before dying your hair to the color of your dreams, you may want to experiment with this blended two-tone wig. You'll get the trendy hairdo you've been craving without the commitment or the mess. We can't wait to see how awesome two-tone teal hair looks on you, so attach a picture of yourself wearing it in the review section below!